Liverpool - I Say Ding Dong Shop - Buy Stickers, Decals & Unique Automobilia. 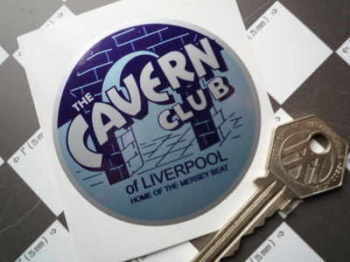 The Cavern Club of Liverpool 'Home of the Mersey Beat' Sticker. 2.75" or 3.25". The Cavern Club of Liverpool Tax Disc Size Static Cling Sticker. 80mm.